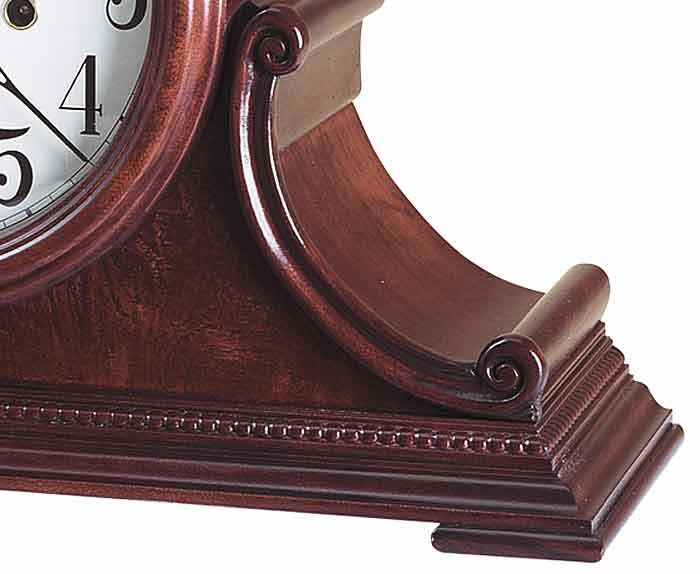 This 78th Anniversary Edition tambour style mantel clock is rich in details. A beaded molding surrounds the base, accenting the carved side scrolls and olive ash burl veneered front panel. Beneath a convex glass crystal, the lambswool dial offers black Arabic numerals, black serpentine hour and minute hands. Access to the dial is easy as the entire wood bezel is hinged from the top and lifts upward to wind the clock. Finished in Windsor Cherry on select hardwoods and veneers. 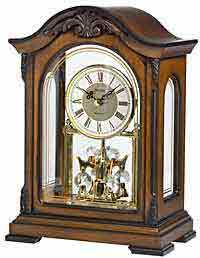 Long, acoustically tuned chime rods are struck with small hammers to produce to chime on this mantel clock. German made Kieninger AEL01 with 5 jewels and 6 durable bronze bushings. Key-wound Westminster chime movement requires winding only once per week. Chime on/off lever. 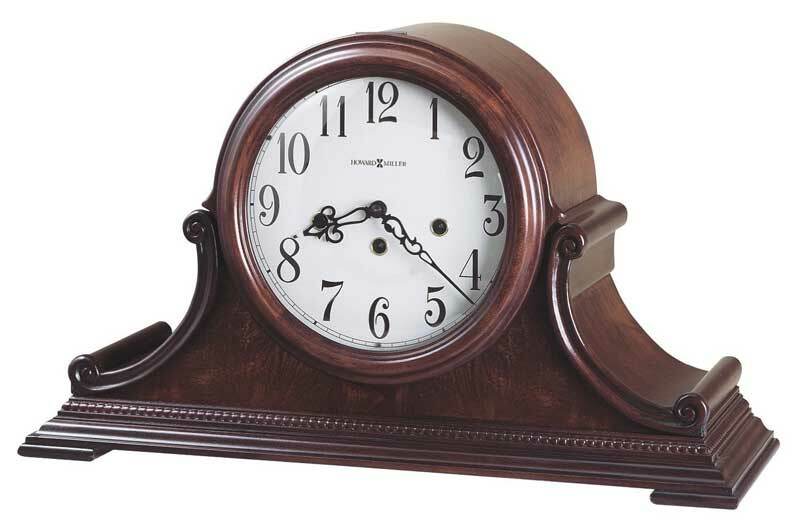 Clocks for sale at The Clock Depot including the 630-220 at discount prices.